A couple of weeks ago, I wrote a post about the 3 Things You Must Know Before You Discuss Intelligence Requirements With A Decisionmaker. 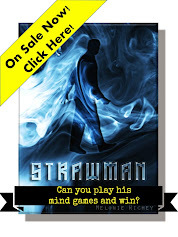 That post was designed for intel professionals who have the luxury of being able to sit down with the decisionmakers they support and have a conversation with them about what it is they want from their intelligence unit. I also stated that doing this in a virtual environment or on an automated requirements management system like COLISEUM was both more difficult and something I would discuss in the future. Well, today is your lucky day! The future is here! When I think about who does requirements best in a virtual environment, I think about video games. Particularly, I think about massively multi-player online role-playing games (MMORPGs for short). Very, very specifically, I think about the questing systems that are standard fare in virtually all of these types of games. Quests are the requirements statements of games. 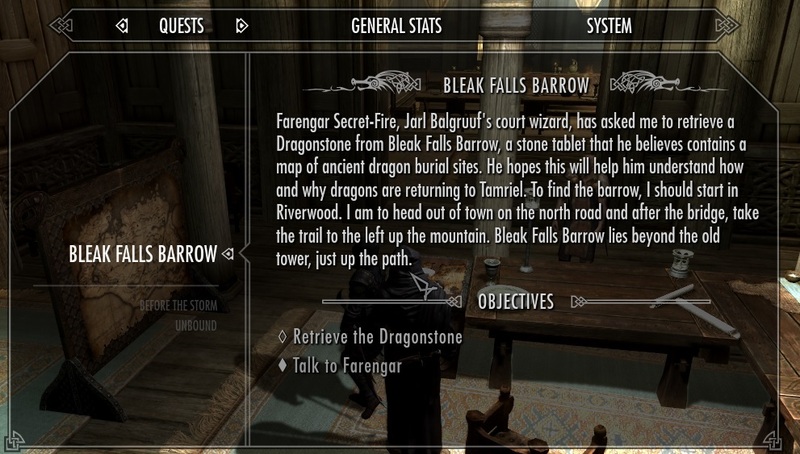 I have included an example of a quest below (it is from a game called Skyrim which is awesome and highly recommended). These quests differ from intel requirements in that almost all of them are operationally focused (What do we need to do to accomplish our mission?) instead of intelligence focused (What do we need to know about the other guy to accomplish our mission?). That said, there are still a number of things we can learn from a well-formulated quest that will make intel requirements in a virtual environment easier to craft and to understand. They both provide background. Why am I doing this? What is the context for this quest? In video games, putting the quest in context allows the story to unfold. In intelligence work, this context allows the intelligence professional to better understand the decisionmaker's intent. This, in turn, allows the intelligence professional to have a better understanding of the kinds of information and estimates that will prove most useful. They both define terms. In the quest above, I am to look for a Dragonstone. What is a Dragonstone? The quest defines that for me. In intelligence work, agreeing on definitions of terms (particularly common terms) is incredibly helpful. For example, you get a request to do a stability study on Ghana. What term needs to be defined before you go ahead? Stability. We do this exercise every year in our intro classes. There are multiple definitions of stability out there. Which one is most appropriate for this decisionmaker is a critical question to ask and answer before proceeding. They both use terms consistently. If I encounter another quest asking for me to find a Dragonstone, I can count on it being the same thing I am looking for in this quest. Likewise, in an intelligence requirement, if I define a term in a certain way in one place, I will use that term - not what I think is a synonym, no matter how reasonable it sounds to me - consistently throughout the requirement. They both often come in standard formats. All video game players are familiar with a variety of standard quest formats such as the Fetch Quest (like the one above) where the task is to go, get something, and bring it back. Intelligence requirements also come in more-or-less standard forms such as requests for descriptive or estimative intelligence. 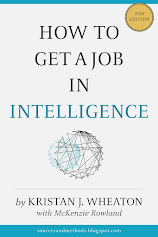 Categorizing requests for intelligence and then studying them for similarities should allow an intelligence unit to develop a list of useful questions to ask based simply on the type of request it is. Requirements statements, whether managed in person or virtually, are almost always going to start out messy. Without the advantage of a back-and-forth, personal conversation, the virtual requirements process has a greater potential, however, for breakdown. Thinking of the requirement as a quest allows intelligence professionals to re-frame the process and focus on the essential elements of the requirement and, perhaps, anticipate and address predictable points of potential failure in advance. Look for the final part of this series later this summer when I talk about all the things you need to think about in the middle of requirements discussion with a decisionmaker!